Who/ what is Yokio Clothing? Yokio is a project I started playing around with three years ago while I was still studying at University. I had worked in a few different clothes shops and was really into the bold graphics being served by skateboard brands like Girl, Chocolate and Enjoi. I started messing around with fabric paint and cheap tees before moving on to getting a couple of my designs screen printed to sell to friends, from there the whole process has just snowballed really. Recently, I have been lucky enough to have the time, energy and readies to have a go at launching the website and a more complete collection of tees. Your line of tee designs are all strong and striking – do you have a definitive brand image or are you just producing tees with sharp visuals? At present I am definitely not pitching a particular brand image or trying to be like company X or Y, the line is instead a means for me to express myself visually. Hopefully as the line develops and grows it will become synonymous with good quality and interesting design and this will help both shape and define a positive brand image. With this being my first full release I wanted to try and incorporate a variety of styles and designs while still creating one cohesive collection. For example, some of the designs (Scroll and Oyiko) are inspired by earlier work of mine while others (Roll and Show) are more recent and represent a slightly different direction. With it being summer I also wanted the colour palettes and graphics to be big and bold, the challenge for autumn/winter will be incorporating darker colours and toned down styles while still maintaining the same brand identity. What does/ will make your brand stand out and distinguish itself from the rest of the UK streetwear pack? I was actually talking with my friend Cav the other day about the number of new brands coming up in the UK scene at the moment. It’s really exciting but also quite overwhelming when you think of the number of different companies you are competing against. Hopefully this can have a positive effect and keep everybody pushing hard and making good stuff. 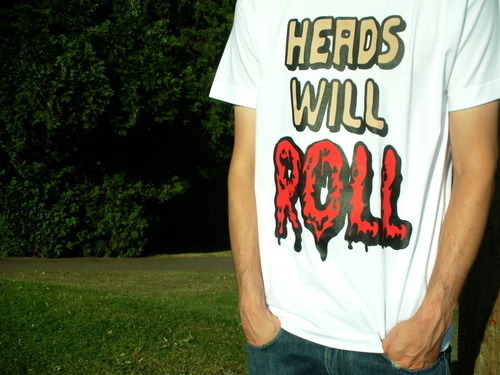 When I first started out designing tees it was for the enjoyment of making something. I want to carry on in this tradition and create designs that represent my thoughts and the things I like. Hopefully by doing this Yokio will remain unique to me and different from other brands on the market. Who or what influences you in your work? First and foremost I think Bristol has had a massive influence on Yokio. Not necessarily in terms of the designs themselves but rather the project as a whole. The way I see it the city has a way of installing that belief that you can make a creative project work here if you put your mind to it and are willing to work hard for it. People are always quick to point you towards something or someone they think may be able to help you and that type of encouragement when you are just starting out really helps. In terms of other brands I really like the direction Rick Klotz has taken with FreshJive over the past couple of years. Removing all branding from the line was an amazing decision to take and one that I think deserves massive amounts of respect. Plus the “Get Fat Yo” t-shirt they put out a few seasons back is up there amongst my favourite tees. Shepard Fairey has also been a big influence; I am half way through reading his Supply and Demand book and find it really inspiring to see how he has progressed from stickers on lamp posts to creating the unofficial campaign image for Barack Obama in the last US election. What’s your take on the whole UK streetwear scene at the moment? I think it’s really strong; there are a lot of brands coming out with really good stuff. Close to me there are people like Ben with Bake and Cav with Andwot who are definitely smashing it, lots more to come from those boys I think. 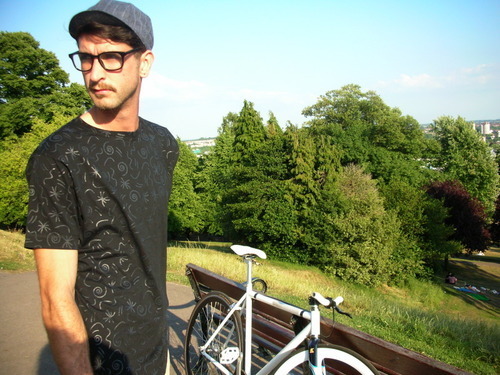 Looking further a field I have always really liked London based labels Trapstar and A.in.t. Of the new brands, Suffoca seems to be coming strong with nice garms, strong photography and also a dope website. Where do you see you and Yokio Clothing being in 5 years time? When I originally started messing around with the tees I was doing so because I enjoyed it and it was fun – I really want to try and not lose sight of that. But at the same time it would be amazing in five years if Yokio was still going strong and was stocked at a few stores around the world as well as here in the UK. I also have a couple of different ideas apart from the tees that I would like to launch in conjunction with the brand over the coming weeks and months. Having the resources to incorporate some cut and sew pieces into future collections would be amazing too. Shoutouts My girlfriend the beautiful Wanda Jean and all my friends and family who have been super supportive with both kind words and purchases. The people who I don’t know who have logged on to the site to buy a tee or even just to get on and have a look, Christian at Uno Print for printing up some amazing tees for me [and me!] and everyone else who has shown love. Thank you. What with Bake, Yokio, the Donuts crew and everything else Bristol has to offer; I’m seriously considering packing up and moving over there to try and tap into this creative talent the city seems to have. Must be something they put in the water! 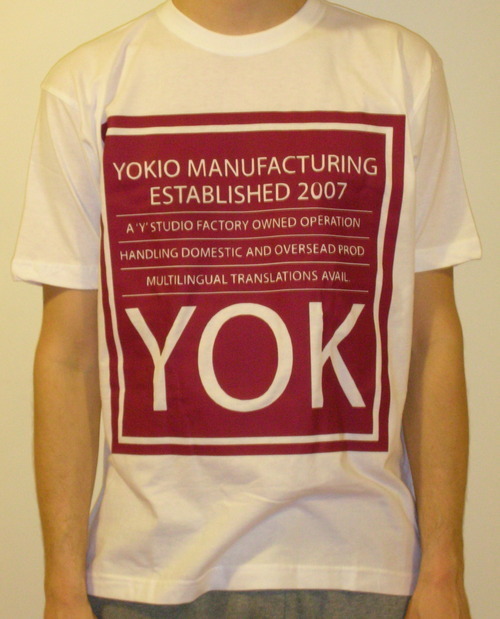 When I found out that Christian over at Uno One was involved in Yokio’s (and Bake’s and now FatKidOnFire’s) printing I knew I’d found another killer brand – sick designs on hand-pulled screen printed basics all done in the UK. What more is there to want? If you’re feeling Charlie’s brand and want to find out more; see the website/store, find him on Facebook or follow him on Twitter. I’m pretty sure he’ll appreciate any props you fire his way!